Check Availability and Receive a Price Quote! 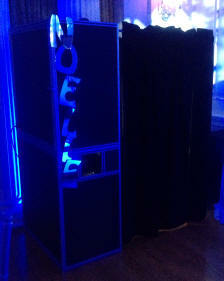 We provide DJ services for Long Island, DJ's for NYC, DJ for Manhattan, DJs for Queens, DJ Service for Bronx, Disc Jockeys for Wedding Receptions, DJs for Bat Mitzvahs and Bar Mitzvahs, Anniversary's, Reunions, Birthdays, Sweet 16 Party's, and all types of events in Long Island and all area's in New York. We are also be found listed under: Long Island disc jockeys, long Island dj, Long Island deejays, Long Island dj services, Long Island djs, Long Island deejay, Long Island deejay services, Long Island dj contract, Long Island dj service, Long Island deejay service, Long Island disc jockey, Long Island disc jockey service, Long Island disc jockey services, Long Island mobile dj, Long Island mobile deejay, Long Island mobile dj service, Long Island prom dj, Long Island prom disc jockeys, Long Island corporate party dj, Long Island party dj, Long Island party motivator, Long Island d.j., Long Island mc, Long Island emcee, Long Island emcees, Long Island wedding dj, Long Island wedding djs, Long Island wedding dj services, Long Island wedding disc jockey, Long Island wedding disc jockeys, Long Island wedding music, Long Island Weddings.